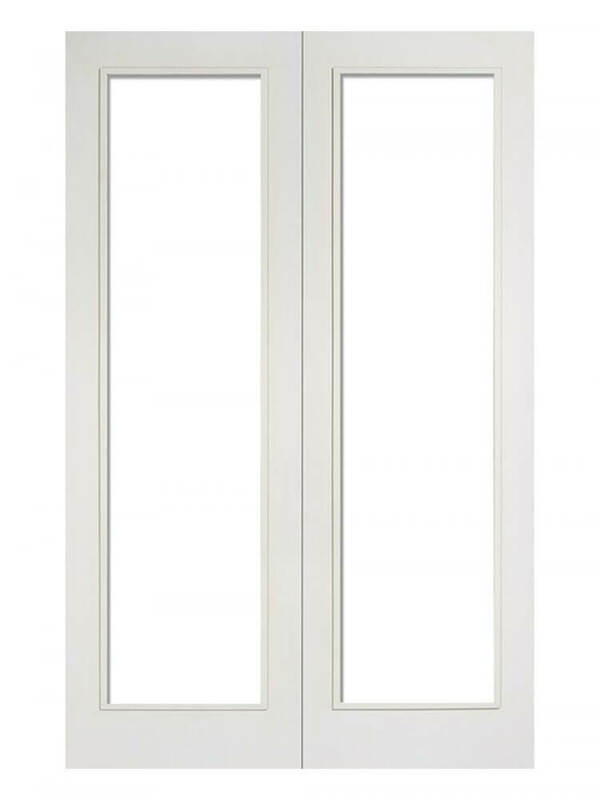 A pair of fully clear glazed white engineered doors, Perfect as room dividers. Available in six aperture widths. FSC approved Door. Smooth finish with raised beading. White Pattern 20 Glazed Pair. A simple, traditional door design, featuring two large clear glazed panels, perfect for carrying light between rooms, as well as the illusion of space. Clear Glazing.